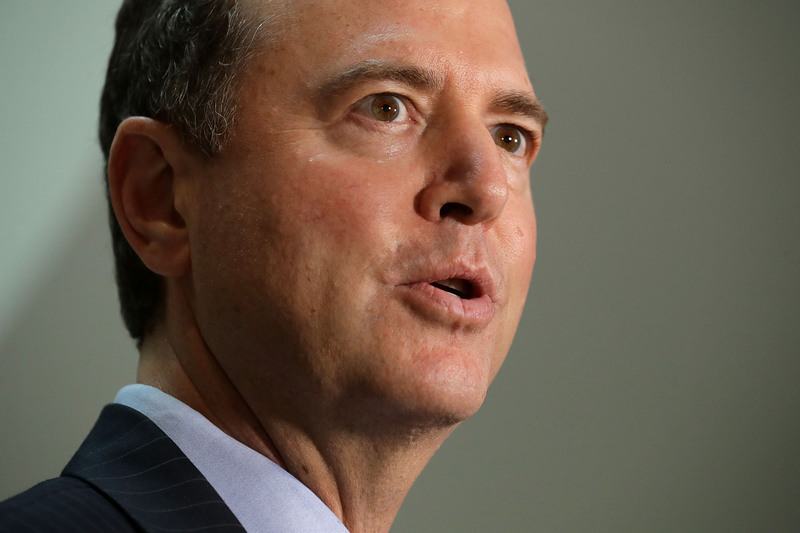 (CNSNews.com) -- Citing his contact with Fusion GPS founder Glenn Simpson, who procured "unverified" information about alleged Russia-Trump collusion, and ex-attorney and convicted perjurer Michael Cohen, who testified against President Trump in February, the government watchdog group Judicial Watch has filed an ethics complaint against Rep. Adam Schiff (D-Calif.), chairman of the House Intelligence Committee, for "inappropriately communicating with witnesses." "Rep. Schiff appears to have violated House Code of Official Conduct, Rule 23, clauses 1 and 2, by inappropriately communicating with witnesses,"said Judicial Watch. "Clauses 1 and 2 provide: 1. A Member, Delegate, Resident Commissioner, officer, or employee of the House shall behave at all times in a manner that shall reflect creditably on the House. And, "2. A Member, Delegate, Resident Commissioner, officer, or employee of the House shall adhere to the spirit and the letter of the Rules of the House and to the rules of duly constituted committees thereof." In July 2018, Rep. Schiff attended the Aspen Security Forum conference, where he met and spoke with Fusion GPS founder Glenn Simpson. As The Hill newspaper reported, cited by Judicial Watch, "At the time of the encounter, Simpson was an important witness in the House Intelligence Committee probe who had given sworn testimony about alleged, but still unproven, collusion between Russia and the Trump campaign." Simpson's firm was the one that procured "unverified" information about alleged Trump campaign collusion with Russia, a claim that has been refuted by the Senate Intelligence Committee and, so far, not verified in any capacity by the Special Counsel Robert Mueller investigation.